Apartment Camellia offers accommodation for 2 persons in Zagreb. There is a sitting area, a dining area and a kitchen complete with a dishwasher, an oven and a toaster. A flat-screen TV is provided in the living room as well as sofa bed. Apartment also offers balcony with street view, bathroom with washing machine and one bedroom with king size bed. Apartment Camellia offers accommodations in Zagreb, 2.1 km from Zagreb Central Station and 3.4 km from Arena Zagreb. There is a seating area, a dining area and a kitchen complete with a dishwasher, an oven and a toaster. A flat-screen TV is provided. Very convenient location in the city. Able to get just about anywhere by walking or a shot ride. Easy to get checked in and out and had everything I needed in the flat. Would recommend or stay there again. 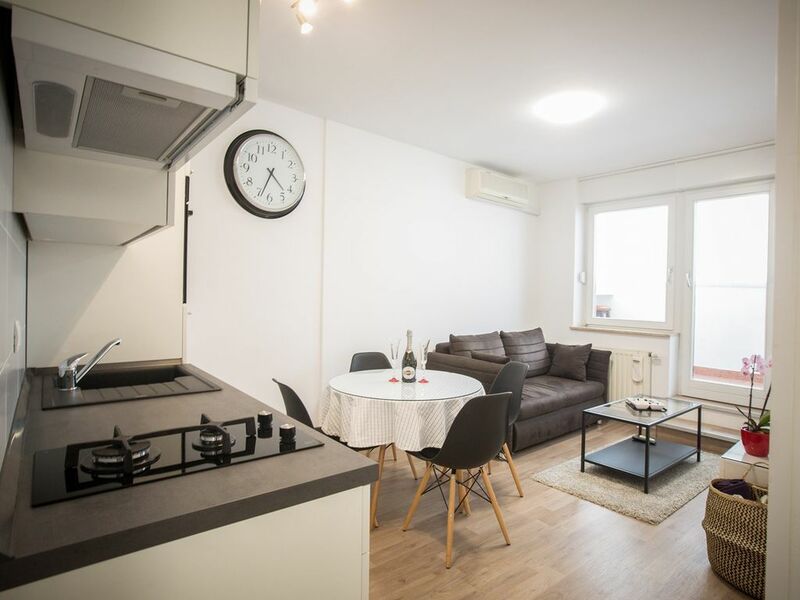 Apartment Camellia is located in Zagreb, 2.1 km from Zagreb Central Station and 3.4 km from Arena Zagreb. Croatian National Theater is one kilometer from Apartment Camellia, and Lotrscak Tower is 2.1 km away. Pleso Airport is 11.3 km from the property.